In cystic fibrosis, pulmonary function tests (PFTs) and computed tomography are used to assess lung function and structure, respectively. Although both techniques of assessment are congruent there are lingering doubts about which PFTs variables show the best congruence with computed tomography scoring. 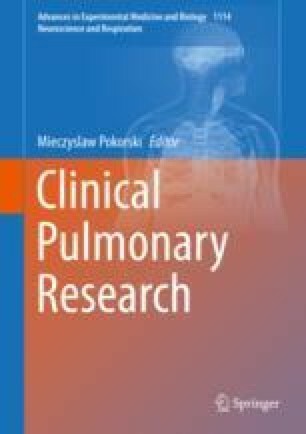 In this study we addressed the issue by reinvestigating the association between PFTs variables and the score of changes seen in computed tomography scans in patients with cystic fibrosis with and without pulmonary exacerbation. This retrospective study comprised 40 patients in whom PFTs and computed tomography were performed no longer than 3 weeks apart. Images (inspiratory: 0.625 mm slice thickness, 0.625 mm interval; expiratory: 1.250 mm slice thickness, 10 mm interval) were evaluated with the Bhalla scoring system. The most frequent structural abnormality found in scans were bronchiectases and peribronchial thickening. The strongest relationship was found between the Bhalla sore and forced expiratory volume in 1 s (FEV1). The Bhalla sore also was related to forced vital capacity (FVC), FEV1/FVC ratio, residual volume (RV), and RV/total lung capacity (TLC) ratio. We conclude that lung structural data obtained from the computed tomography examination are highly congruent to lung function data. Thus, computed tomography imaging may supersede functional assessment in cases of poor compliance with spirometry procedures in the lederly or children. Computed tomography also seems more sensitive than PFTs in the assessment of cystic fibrosis progression. Moreover, in early phases of cystic fibrosis, computed tomography, due to its excellent resolution, may be irreplaceable in monitoring pulmonary damage.